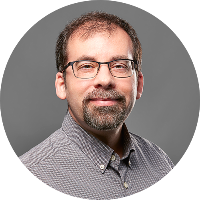 Dr. Darren Scott is an Associate Director and Professor in the School of Geography & Earth Sciences at McMaster University where he teaches courses in geographic information science and transportation. Dr. Scott was an Assistant Professor in the Department of Geography and Geosciences at the University of Louisville between 1999 and 2002, and held a Visiting Research Professor position at the Swiss Federal Institute of Technology (Zurich) in 2008. Dr. Scott's undergraduate degree is in geography (BA. Honors and Co-op, 1991), with graduate degrees also in geography from the University of Western Ontario (MA, 1994) and McMaster University (PhD, 2000). Dr. Scott has published over seventy refereed journal articles in leading transportation, regional science, and urban studies journals. Dr. Scott's research program has been supported by grants from the National Science Foundation of the United States (NSF), the Social Sciences and Humanities Research Council of Canada (SSHRC), the Natural Sciences and Engineering Research Council of Canada (NSERC), and Geomatics for Informed Decisions (GEOIDE), among other funding agencies. In 2008, Dr. Scott established a research lab - TransLAB - in the School of Geography and Earth Sciences where advanced transportation research is conducted by students working under his supervision. On each of the entries below, authors are listed as published with the first author being the principal author. Newbold, K.B., Scott, D.M. and Burke, C. (2015) Immigrant status and commute distance: an exploratory study based on Toronto's commuter shed. Transportation. Accepted. Sullivan, J.L., Dowds, J., Novak, D.C., and Scott, D.M. (2015) Strategic location of satellite salt facilities for roadway snow and ice control. Transportation Research Record: Journal of the Transportation Research Board. 2482: 32-40. Moniruzzaman, M., Paez, A., Scott, D. and Morency, C. (2015) Trip generation of seniors and the geography of walking in Montreal. Environment and Planning A, 47: 957-976. Yiannakoulias, N., Bland, W. and Scott, D.M. (2014) A geography of moral hazard: sources and sinks of motor-vehicle commuting externalities. Health & Place, 29: 161-170. Scott, D.M. , Lee, B.H.Y. and Miller, E.J. (2014). Innovations in location choice modeling underlying activity-travel behavior. Journal of Transport and Land Use, 7: 1-2. Daxberger, H., Dalumpines, R., Scott, D.M. and Riller, U. (2014). The ValleyMorph Tool: an automated extraction tool for transverse topographic symmetry (T-) factor and valley width to valley height (Vf-) ratio. Computers & Geosciences, 70: 154-163. Millward, H., Spinney J. and Scott, D.M. (2014) Durations and domains of aerobic activity: evidence from the 2010 Canadian time use survey. Journal of Physical Activity and Health, 11: 895-902. Clark, A.F., Scott, D.M. and Yiannakoulias, N. (2014) Examining the relationship between active travel, weather, and the built environment: a multilevel approach using GPS-enhanced data. Transportation, 41: 325-338. Clark, A.F. and Scott, D.M. (2014) Understanding the impact of the modifiable areal unit problem on the relationship between active travel and the built environment. Urban Studies, 51: 284-299. Clark, A.F. and Scott, D.M. (2013) The social environment and walking for travel: a case study for Hamilton, Ontario, Canada. Journal of Transport Geography, 31: 278-285. Scott, D.M. , Dugundji, E.R. and Paez, A. (2013) The social dimension of activity, travel and location choice behavior. Journal of Transport Geography, 31: 212-215. Wilson, J., Spinney, J., Millward, H., Scott, D.M. , Tyedmers, T. and Hayden, A. (2013) Blame the exurbs, not the suburbs: exploring the distribution of greenhouse gas emissions within a city region. Energy Policy, 62: 1329-1335. Yiannakoulias, N. and Scott, D.M. (2013) The effects of local and non-local traffic on child pedestrian safety: a spatial displacement of risk. Social Science and Medicine, 80: 96-104. Yiannakoulias, N., Bland, W. and Scott, D.M. (2013) Altering school attendance times to prevent child pedestrian injuries. Traffic Injury Prevention, 14: 405-412. Newbold, K.B. and Scott, D.M. (2013) Migration, commuting distance, and urban sustainability in Ontario's Greater Golden Horseshoe: implications of the Greenbelt and Places to Grow legislation. The Canadian Geographer, 57: 474-487. Papinski, D. and Scott, D.M. (2013) Route choice efficiency: an investigation of home-to-work trips using GPS data. Environment and Planning A, 45: 263-275. Millward, H., Spinney J. and Scott, D.M. (2013) Active-transport walking behavior: destinations, durations, distances. Journal of Transport Geography, 28: 101-110. Chowdhury, T., Scott, D.M. and Kanaroglou, P.S. (2013) Urban form and commuting efficiency: a comparative analysis across space and time. Urban Studies, 50: 191-207. Newbold, K.B. and Scott, D.M. (2012) What Ontario's Greenbelt and Places to Grow legislation means for commuting in the GGH. Plan Canada, 52: 13-15. Brown, W.M. and Scott, D.M. (2012) Human capital location choice: accounting for amenities and thick labor markets. Journal of Regional Science, 52: 787-808. Axisa, J.J., Newbold, K.B. and Scott, D.M. (2012) Migration, urban growth and commuting distance in Toronto's commuter shed. Area, 44: 344-355. Paez, A., Scott, D.M. and Morency, C. (2012) Measuring accessibility: positive and normative implementations of various accessibility indicators. Journal of Transport Geography, 25: 141-153. Novak, D.C., Sullivan, J.L. and Scott, D.M. (2012) A network-based approach for evaluating and ranking transportation roadway projects. Applied Geography, 34: 498-506. Scott, D.M. and He, S.Y. (2012) Modeling constrained destination choice for shopping: a GIS-based, time-geographic approach. Journal of Transport Geography, 23: 60-71. Dugundji, E., Scott, D.M., Carrasco, J.A. and Paez, A. (2012) Urban mobility and social-spatial contact: introduction. Environment and Planning A, 44: 1011-1015. Scott, D.M. , Dam, I., Paez, A. and Wilton, R.D. (2012) Investigating the effects of social influence on the choice to telework. Environment and Planning A, 44: 1016-1031. Neutens, T., Delafontaine, M., Scott, D.M. and De Maeyer, P. (2012) An analysis of day-to-day variations in individual space-time accessibility. Journal of Transport Geography, 23: 81-91. Axisa, J.J., Scott, D.M. and Newbold, K.B. (2012) Factors influencing commute distance: a case study of Toronto's commuter shed. Journal of Transport Geography, 24: 123-129. Yiannakoulias N., Bennett, S.A. and Scott, D.M. (2012) Mapping commuter cycling risk in urban areas. Accident Analysis and Prevention, 45: 164-172. Spinney, J.E.L., Millward, H. and Scott, D. (2012) Walking for transport versus recreation: a comparison of participants, timing and locations. Journal of Physical Activity and Health, 9: 153-162. Neutens, T., Delafontaine, M., Scott, D.M. and De Maeyer, P. (2012) A GIS-based method to identify spatiotemporal gaps in public service delivery. Applied Geography, 32: 253-264.